We had quite the weekend! I feel like I haven't had a moment to just sit and relax in a few days! We had lots of Halloween activities this weekend, in addition to a friend's birthday party, and celebrating Noah's 3rd birthday with our family. Throw in daylight savings and I'm exhausted just thinking about it! 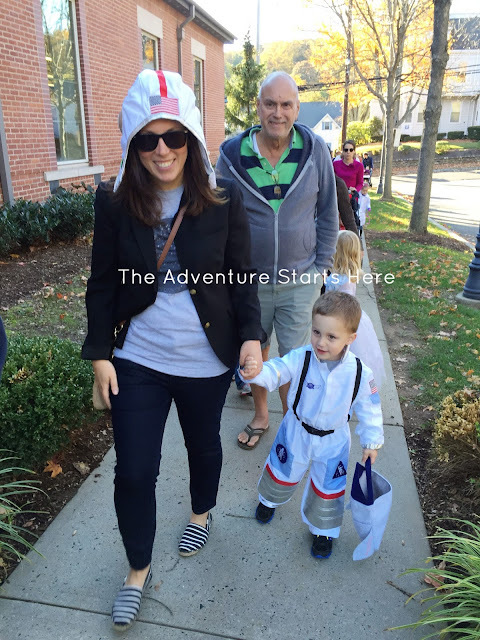 On Friday, we had our MOMS Club Halloween Party and Parade. Last year, Chris took the day off from work to come to it as well, but this year he was just too swamped at work. 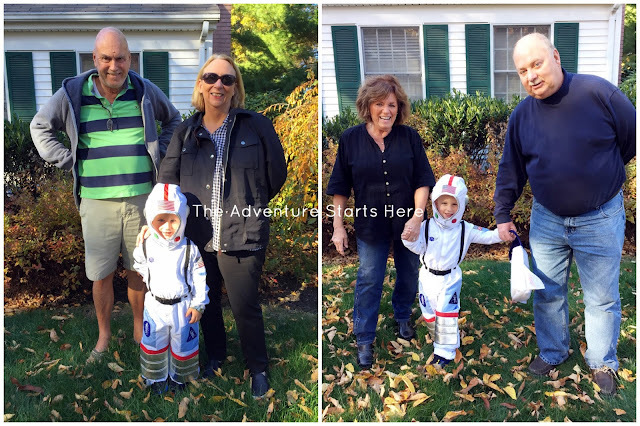 Thankfully, both of Noah's grandparents live nearby and were happy to come again this year. 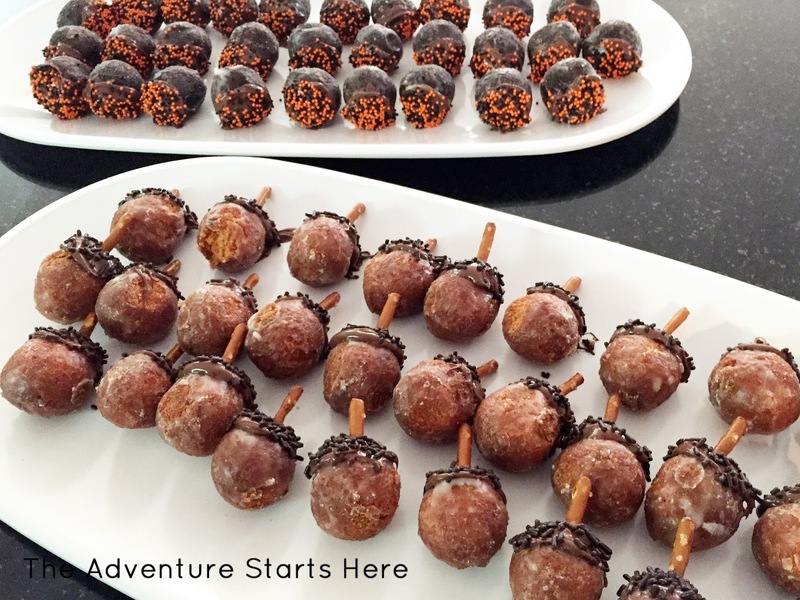 I volunteered to bring a sweet treat and made these "munchkin acorns" using pumpkin munchkins, nutella (as the glue), chocolate sprinkles, and pretzel sticks. I also picked up some chocolate munchkins and put some Halloween-y sprinkles on them and left out the pretzels :) They were a hit, and even I who isn't a fan of everything pumpkin loved them! 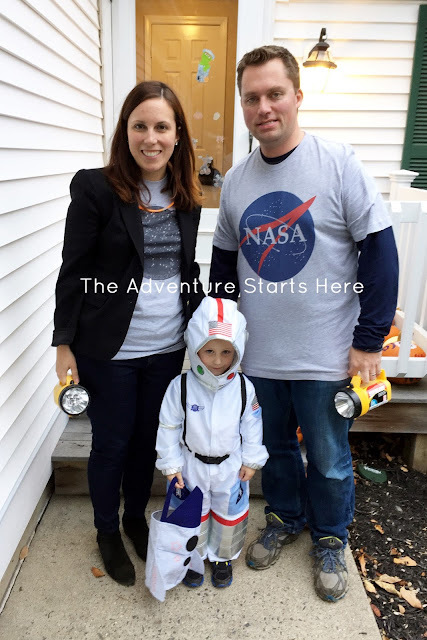 Noah was the cutest astronaut and I was so happy to see him wanting to wear his helmet (at least for photos and the parade). He did take it off towards the end, so I of course had to wear it! He had so much fun walking in the parade with his grandparents! 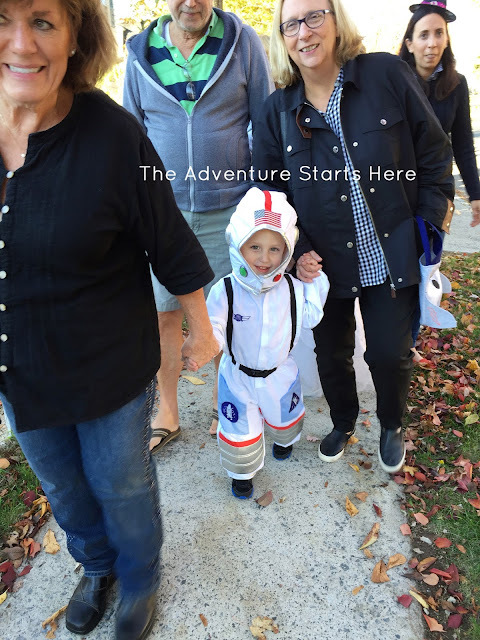 On Saturday, after a morning filled with cleaning up leaves, we went to a Trunk or Treat put on by Noah's preschool. 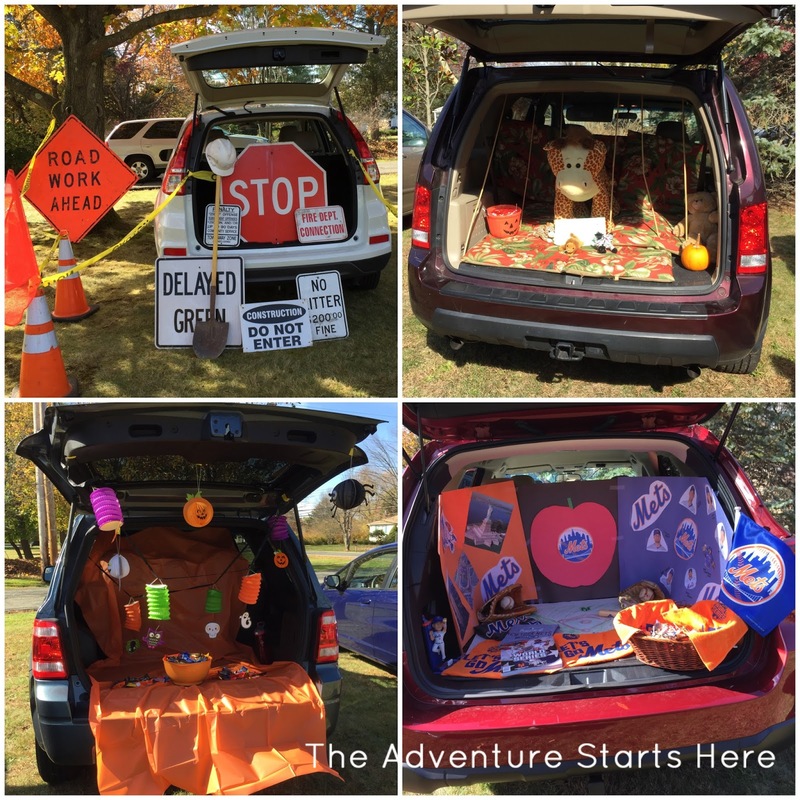 I volunteered to decorate our trunk and provide/hand out a bunch of candy to the kids. It was open to the public and I wouldn't be surprised if we got 200 kids during the two hours it was held. 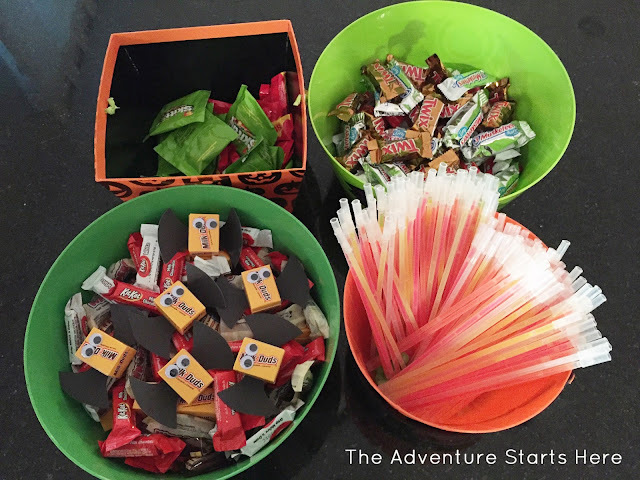 I gave out a bunch of non-peanut chocolate, the milk dud bats I made, some sugary "candy", and even some glow stick bracelets. 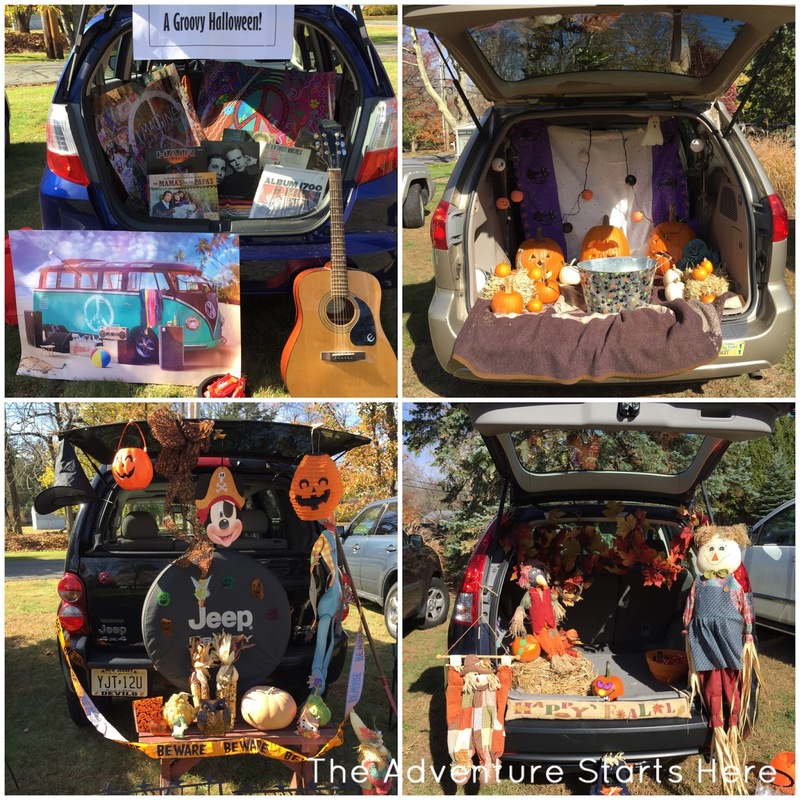 Since it was my first year participating in this Trunk or Treat, I wasn't sure how serious everyone took decorating their trunks. I decided to stay in the middle of the road and not go too crazy! Some of the cars there were really amazing! If we do it next year (which I think we will), I may decorate the car in a theme that goes with Noah's costume! 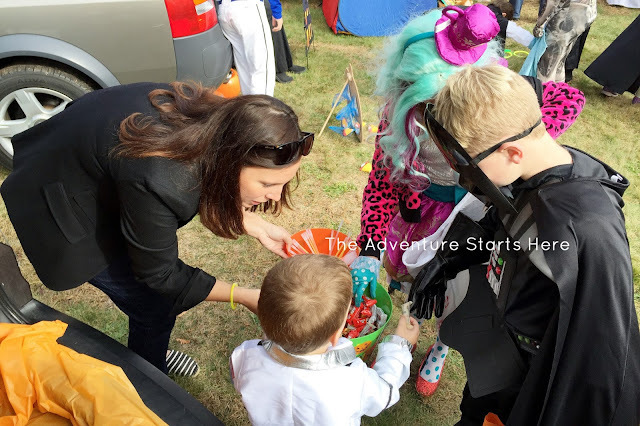 Noah had a blast collecting candy from all the trunks and helping me hand it out to all the other kids. They even had some games set up inside the preschool. We had great weather and a really fun time! I loved seeing some of Noah's classmates come by all dressed up in their costumes! 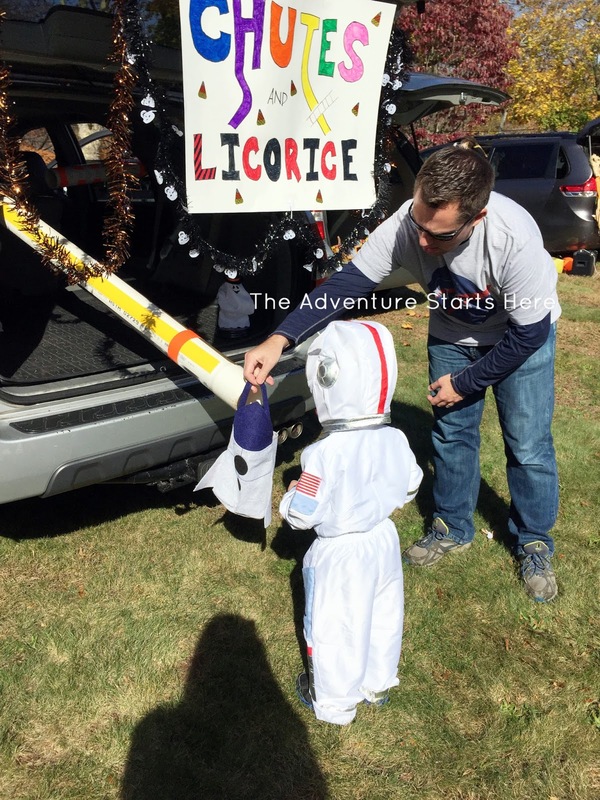 ^^^ how cool is this little candy chute! Wow! It sounds like you guys had a busy but super fun weekend! 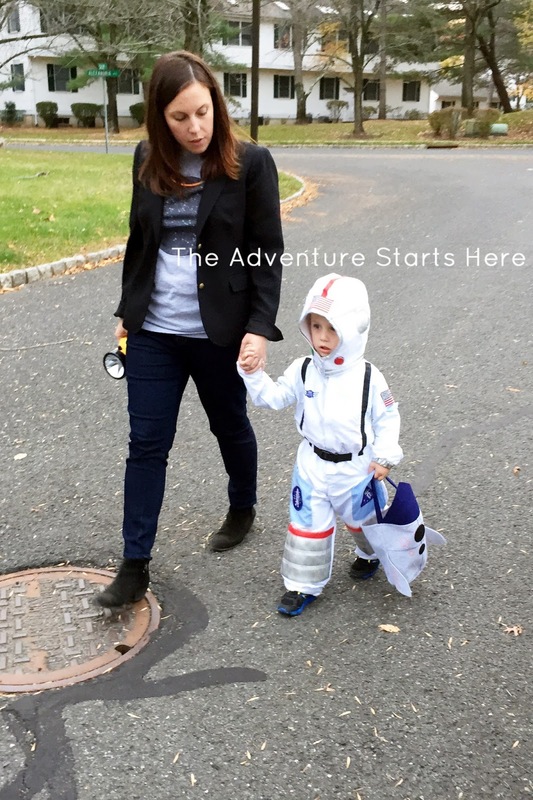 Noah looks so cute in his astronaut outfit and I love that you guys coordinated without actually wearing costumes. 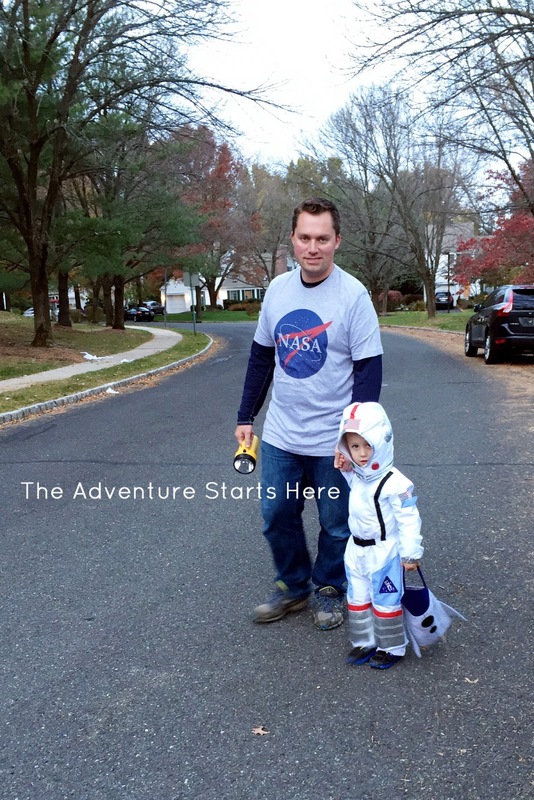 We did that with Mason and it was perfect! I really love that costume! and your matching trick or treat shirts. I loove that you did a trunk. I think that would be fun. I'm not involved with anything that does that, so clearly I need to sign myself up for something that does ha. It sounds like fun. Too bad about the scary mask. Aria only got scared once from this guy dressed like Alice Cooper. It was the last house though, so that worked. Ooh, love all those yummy treats! We have never participated in a trunk or treat. 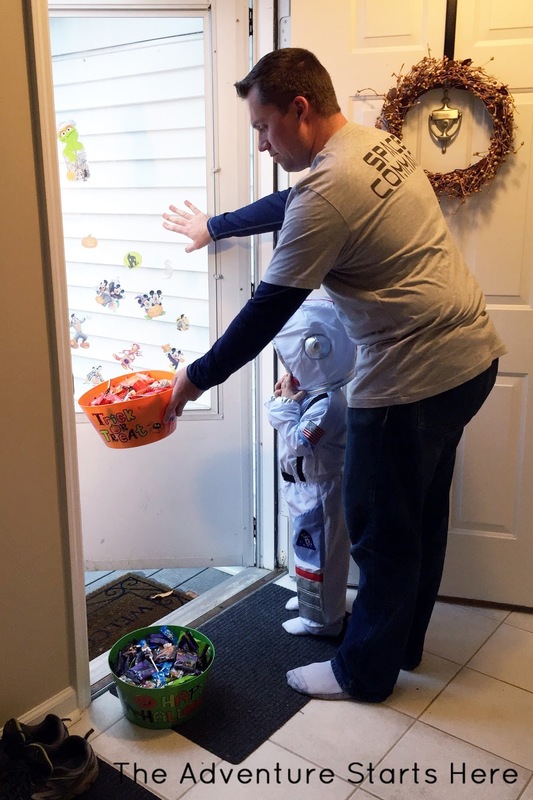 I'm so old fashion and just love the standard trick or treating. And I love that it keeps it a bit more special to only do it once! 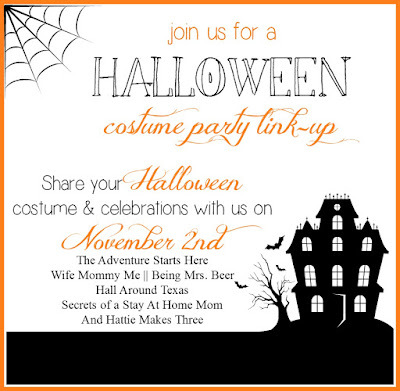 I don't think trunk or treats are a thing here because I have never heard of it before bloggers started talking about it. And I think it's brilliant! I especially love all the decorations on the cars! 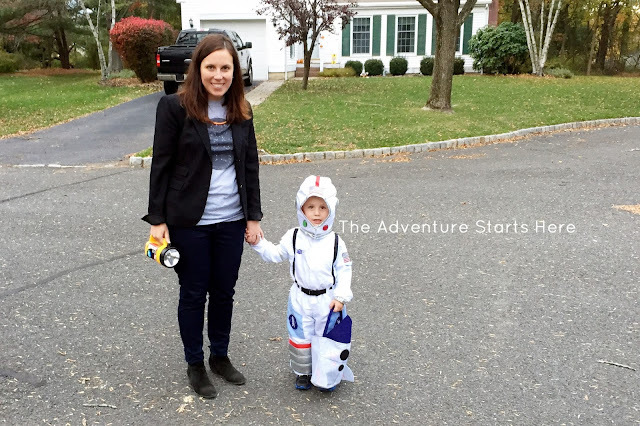 What a cute astronaut! And I love that you guys wore coordinating shirts. 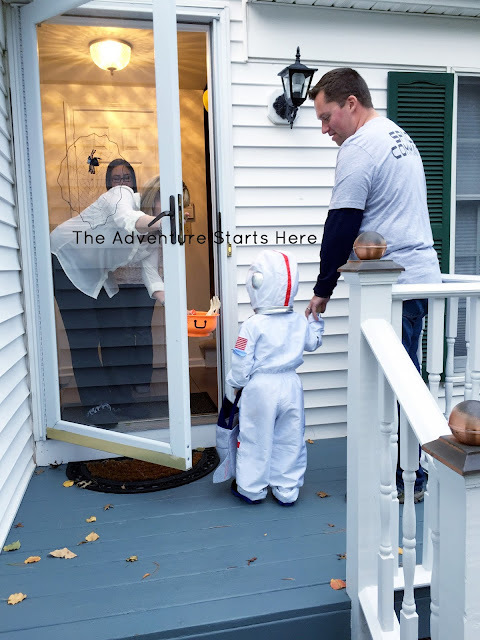 We were at a Halloween party on Friday and two adults came in full space suits. They were awesome!! I love Noah's costume! So adorable! 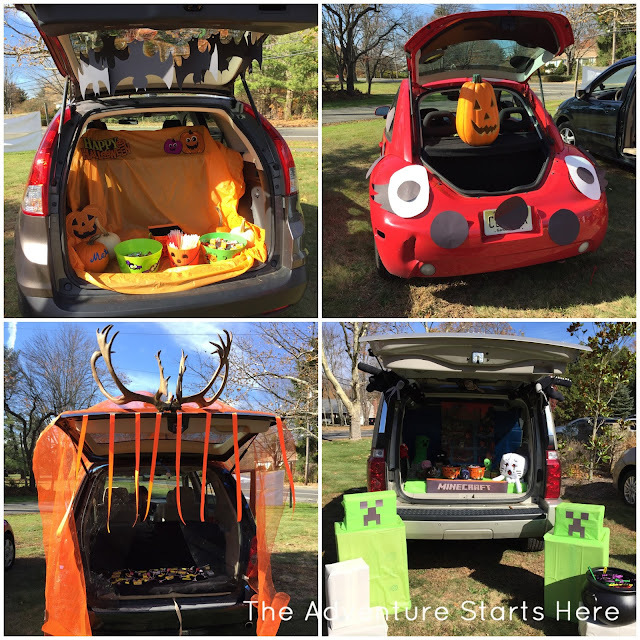 I love the trunk or treat and wished the one we had plan to go to hadn't been rained out.